It’s road trip time! Well, not in the conventional sense. Team BNK is planning a research trip to the AAF Sanctuary at Chengu, China to complete the enrichment/infrastructure research portion of the model we believe will help save Korea’s farm bears. To do that, we need your help. We’re asking for 10 USD from our supporters to fund the trip. We don’t have far to go, and we have much to accomplish! 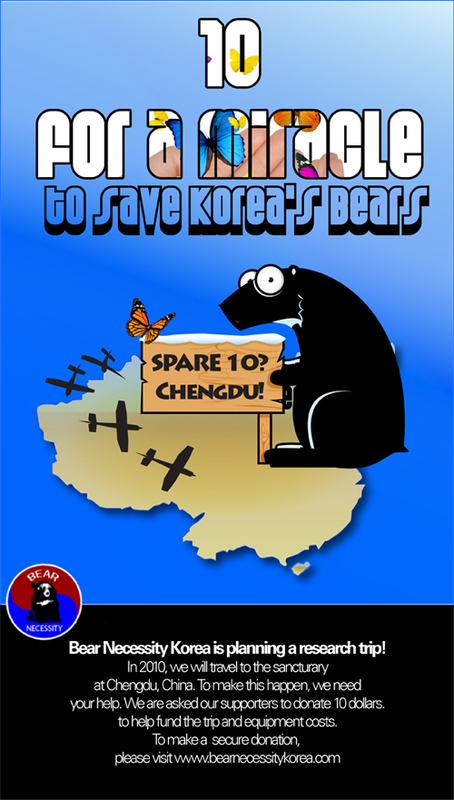 You may make a secure donation by clicking the paypal button on Bearnecessitykorea.com. For more information about the trip, The BNK abstract model or Bear Necessity Korea, please contact Kelly at kelly@bearnecessitykorea.com. 19 are bears are left in the Korean wild. 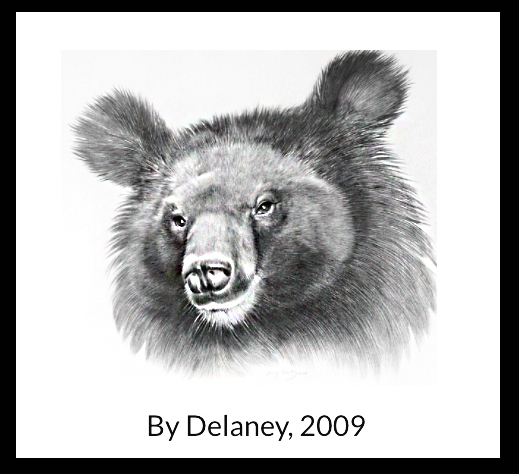 1600 living in agony on bear bile farms. The time to act is now.